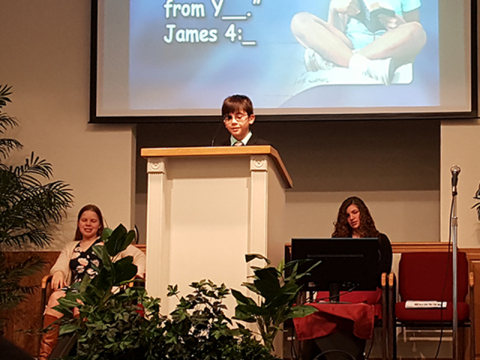 Three Pathfinders publicly gave their lives to Jesus following a Pathfinder induction ceremony last Sabbath at the Golden Valley Church in Clinton, Missouri. Jonathan Jones, Aidan Jones and LeRoy Webb were baptized by Denison Sager, Iowa-Missouri Conference youth director, following months of Bible studies with local club director David Webb and Pastor Alan Harvey. Also present were area Pathfinder coordinators Scott and Alicia Spaid, Mike and Kathy Rowe, and Connie Maasen. 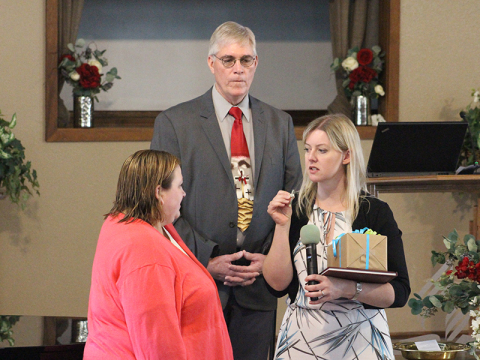 Alicia Spaid led out in the induction ceremony, an annual event recognizing new Pathfinder club members. This year’s new members included two of those being baptized, Aiden Jones and LeRoy Webb, as well as new club counselor Jeremy Jones. 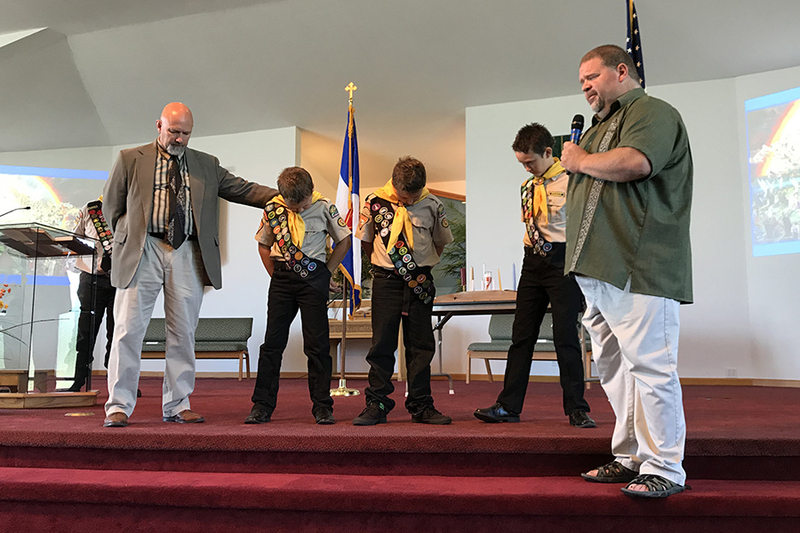 The ceremony includes an explanation of all the Pathfinder levels and recitation of the Pathfinder pledge and law, with which new Pathfinders make a commitment to the club and to God.